Apple CEO Tim Cook confirmed during the company's financial earnings conference call today that iPhone sales will likely decline in the March quarter, marking the first year-over-year decline since the smartphone was released in June 2007. 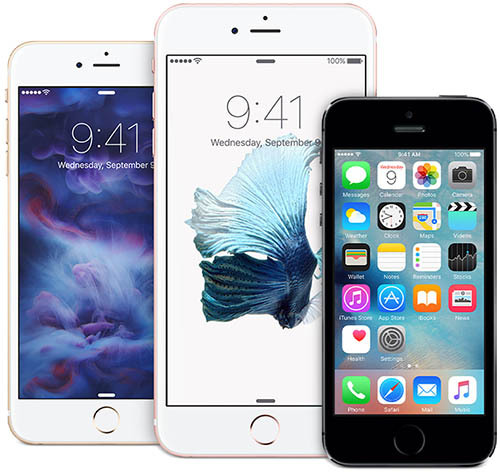 The decline will be realized if Apple sells fewer than 61.2 million iPhones this quarter. Apple forecasts that its total revenue in Q2 2016 will be between $50 and $53 billion, compared to $58 billion in the year-ago quarter, signaling the company's first year-over-year drop in revenue in thirteen years. Apple has posted over 50 quarters of year-over-year revenue growth since 2003. Apple is currently facing significant foreign exchange headwinds. A strong U.S. dollar makes it more difficult for Apple, which reports its earnings in U.S. dollars, to perform when some 66% of their business is overseas. Every $100 of Apple’s non-U.S. dollar revenue earned in Q4 2014 translates into only $85 U.S. dollars today. Financial analysts had already predicted the iPhone would face its first quarterly sales decline in Q2 2016 compared to the year-ago quarter, with some reports claiming the iPhone 6s and iPhone 6s Plus may not outsell last year's iPhone 6 and iPhone 6 Plus, its first devices with larger than 4-inch screens. iPhone growth in the just-announced first fiscal quarter of 2016 was the slowest since the smartphone's introduction in 2007. Apple sold a record 74.8 million iPhones during the quarter, which includes the busy holiday shopping season, up only 300,000 units from 74.5 million a year earlier. Nevertheless, Cook said that 60% of customers who have owned an iPhone prior to the iPhone 6 and iPhone 6 Plus have not yet upgraded, meaning there is a large base of potential customers that could upgrade to newer models, including the iPhone 7 expected in September, over the coming year. Today's announcement has been referred to by some as "peak iPhone," but Cook remains optimistic about annual iPhone sales in 2016. Even if Apple sells a projected 45 to 50 million iPhones next quarter, that would still be more revenue from one product than most companies earn overall in a single quarter. 1) Steve Jobs was right. Phablets are stupid and DROPPING the 4inch phone from the upgrade cycle from also really stupid. I personally do not want a giant phone, if anything I'd be very happy with a tiny one. 2) The new products are not aesthetically pleasing... the new iPhone looked weird, face it. What are those lines? They don't look good, it's not "simple". Ivy wagwon? 3) Apple keeps handicapping it's computers... The iMac is a desktop, it doesn't need tapered edges, it doesn't need to be [that] thin. We don't get CD/DVD drives anymore and have to deal with mobile processors and mobile GPUs because you want the 27inch computer in a monitor to be thin? That's stupid. 4) Single port laptop, including the charging port? Stupid moves make for declining sales. Smarten up Tim. cuz everyone wants their headphone jack. No surprise and not a big deal. It's the natural dynamic. A sign that Apple needs to focus and bring something fresh and new to the party. Something other than a car. It has nothing to do with the iPhone 6S. It's because the value of other currencies is dropping respective to the US dollar, and Apple has significantly increased the price of the 6S in many markets. It's simple micro economics: increase the price and sales drop. Well I still have the iPhone 5S and it works great. Like me I am sure a lot of people hold to their phones for awhile. The every year upgrade is great but honestly I don't have that money to burn and my current iPhone works like a charm. So for me a 3 year upgrade window works well. Bad designs to blame. They need another classic design for iPhone 7 to come back. "Apple sold a record 74.8 million iPhones during the quarter, up slightly from 74.5 million a year earlier..."